Being a parent is hard. Being a single parent is harder. Single parents face innumerable challenges. The most daunting might be that you can no longer rely on a partner. Whatever comes next, you must face alone—which takes courage. Trevor, the subject of an episode of the Everyday Bravery podcast, understands this reality intimately. After the unexpected death of his wife Becca, he's struggling to find a "new normal," and care for his three boys. Along with host Laura Ling, he faces his fears, traveling to the site where his wife passed and talking to a financial planner about his future. Trevor finds that exercise provides release and improves his focus. He hits a local boxing gym where he throws himself into it, bouncing around the ring and sparring with a trainer. It leaves him exhausted but mentally energized, something he felt was really needed. As a single parent, a big part of taking care of your children is finding the time and energy to care for yourself. Inspired by Trevor's story, we searched for other single dads who also navigate daily choices and challenges alone. We found Dan Pearce, a single father also using physical fitness to deal with adversity. Dan is an author, blogger, artist, and wildlife photographer raising his son, Noah, in Salt Lake City. 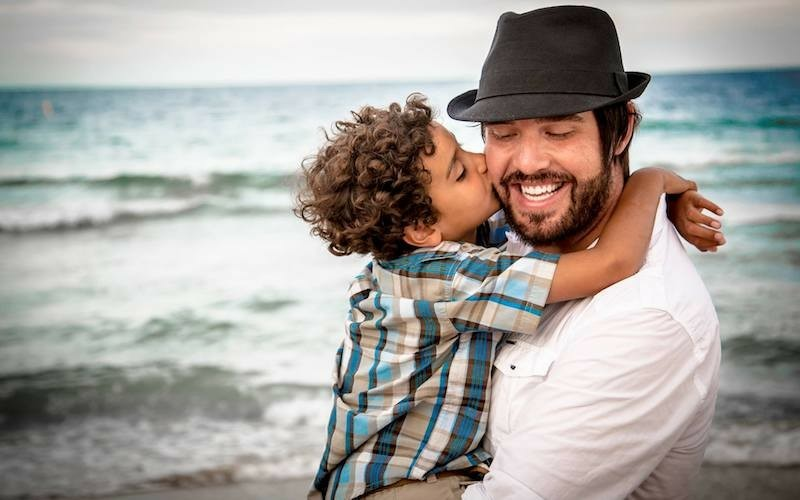 He chronicles their adventures and offers advice to other single parents on his site Single Dad Laughing, and has built a powerful, inclusive online community of more than 2 million followers. With so many jobs to juggle and a child to parent, Dan struggled to re-balance his life. His health suffered, and exercising wasn't part of his routine. Additionally, social isolation carries additional health risks, similar to smoking and high blood pressure. He wanted to alter his habits, but change is difficult for a busy single parent that always puts their kids first. Dan decided to change that. He founded The Single Dad Laughing Health Club as a way for single parents like himself to find community, motivate themselves to work out and stay positive. Posting pictures of himself drenched in sweat after workouts and publicly showing his vulnerability was scary, but Dan says the inspiration he received outweighed his fears. "I've learned that exercise is so much easier if you have some accountability, like an exercise buddy or group that you can talk to every day," he says. Dan started the club as a social media group, thinking he'd get 10, 20, or maybe 50 people sharing photos of themselves after hitting the gym, running, or doing other workouts. Instead, the group "took on a life of its own" and now includes 10,000 members. "It rewards the underdog. That's the power of the club," Dan says. "It really becomes a place where you feel safe. Everyone is a cheerleader for you." Today Dan has found a new equilibrium. While he and Trevor have never met, they'd probably get along. They could chase their kids around outside, compare fitness tips or even their experiences as parents. In the end, both Dan and Trevor understand that being a single parent doesn’t mean you have to do it alone. While there's no single path to follow for parents like Dan and Trevor, courage, social support and a healthy dose of exercise can help along the way.